Home Mobility Cycling How Smart Initiatives Encourage Bicycling In Smart Cities? According to researchers, cities that recognise cyclists as significant characters in their mobility scene are positive towards developing bicycle infrastructure. Making the development a part and parcel of a smart city environment is the sign of a forward-thinking urban environment. Smart cities need to give heed to bicycles as much as they do to other modes of transportation. As per Jason Moore, assistant professor of mechanical and aerospace engineering at the University of California, Davis, cyclists need to be recognised as essential aspects of city planning and design and treated equivalently. He believes that a complete city is one that has multiple modes of transportation. Moore is also a member of the organising panel for the International Cycling Safety Conference that is coming up in September this year in Davis, US. 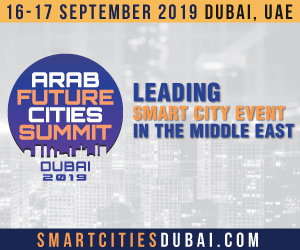 This will happen for the first time in the US that the conference will explore how data streams coming from smart and connected devices, vehicles or sensors in smart cities can work to even deliver safety and needs of cyclists. Furthermore, Moore says that people are now beginning to think about how data could be employed to identify issues and make the urban environment safer for bicycles. How this is actually happening is discussed below. Bicycle infrastructure is an area that combines skills of civil engineering, data technology, sensors, cycling safety, considering the smart development in cities. For instance, Debbie Niemeier, a professor in the Department of Civil and Environmental Engineering is experimenting with bicycles that can automatically gather data on the condition of bicycle paths in cities as bicyclists ride around the town. The same way a cycling app called ‘Strava’ is available for bicyclists to track their own route. The company provides access to its data sets to the urban planners who can use to identify the routes that are most preferred by bicyclists. So in this context, Moore says that urban planners are eager to have access to this kind of data which can show bicycling patterns. Going further, workshops and sessions will be held to address the use of bicycle helmets. Additionally, it will also determine if helmets need to be given priority compared to other measures. Moore continues by saying that the role of bicycles in daily commuting has seen a mightier revival for the last two decades. Take many smart cities in the US that are increasingly adding a convenience factor in bicycling. Transportation Alternatives, a non-profit in New York City encourages the use of environment-friendly and quiet travel option in the city. Hence, going in the line, the non-profit has launched a campaign asking the NYC Mayor Bill de Blasio to appoint a “bike mayor” who could stand for the need of NYC cyclists. According to reports, the non-profit said that there is no better time than now to appoint a Bike Mayor in the city when two cyclists have lost their lives this year. In addition, when Citi Bike is expanding, e-bikes are increasing and investments are being made in bike lanes, there are more reasons to have a biking voice in the government. If New York City appoints a Bike Mayor, it will be the first one to take such a step in the whole of the US. However, smart cities like Amsterdam, Sydney, Rio de Janeiro and others already have similar positions. As per the Transportation Alternative’s campaign, the bike mayor will have the responsibility of looking after the dangers of the city streets and obstacles to cycling. Eventually, this will help the city to develop policies that would make bicycling safer. BYCS a bicycle group in Amsterdam has initiated a global network of bicycle mayors with Keene being the only place in the US to have a position. Sensys Networks has developed a smartphone app called ‘GiveMeGreen’ that enables cyclists to automatically detect up to 300 feet before an intersection. The startup will be conducting a pilot programme to enhance safety for bicyclists while adding to the convenience for motorists. 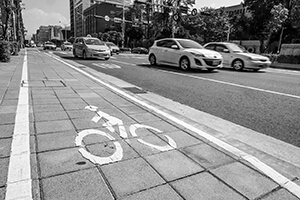 The pilot will happen in the city of Santa Clarita in California where the beta-release of GiveMeGreen will conduct automated bicycle detection at signalised intersections. Once the detection is done, the traffic signal will apply the normal pedestrian-crossing signal timing function. This will help pedestrians as well as cyclists to use the same signal phase and prevent any delay for approaching motorists. Although GiveMeGreen app is specially designed for the safety of cyclists, it will proactively benefit both cyclists as well as motorists by informing about the presence of bikes at the signalised intersections. Along with safety factor taken care of, the app will enhance the ride experience for the bicyclists in Santa Clarita. Indirectly, it will encourage people to opt for bicycling as they will have the power to perform reliable advanced detection – automatically. Furthermore, the pilot will demonstrate the flexibility of the Sensys Network platform with the reason that it will integrate with third-party signs and city traffic controllers. For example, there are signs that glow only when cyclists or pedestrians are detected nearby so as to warn the motorists that bicycles or pedestrians will be crossing the intersection during the next green light. Now, the after the GiveMeGreen pilot the system will include a bicycle-only light at each intersection along the bike path which will inform the bicyclists that they have been detected. GiveMeGreen has multiple advantages that will enable smart cities to customise the services they provide for pedestrians, bicyclists, truck drivers and many other commuters. It is an I2X (infrastructure-to-everything) system for connected and autonomous commuters that will not just enhance safety but also reduce congestion, improve travel experience and promote a healthy urban environment. 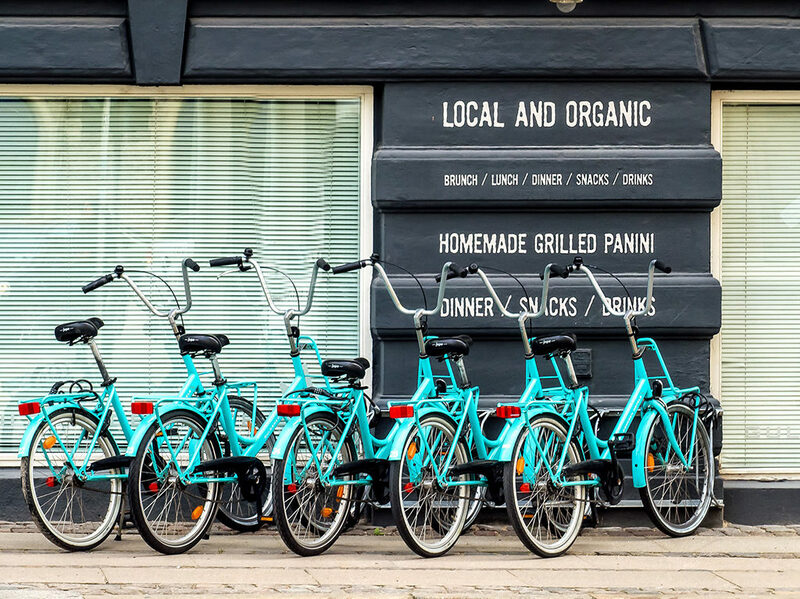 As we read the case of GiveMeGreen app, a bicycle infrastructure can make a big sense for a smart city when businesses and local governments invest in it. Here are some of the benefits which show why funding a bicycle infrastructure is helpful in many ways. A 2006 study showed that bicycle lanes can increase the value of a place. The study found that the median home values rose to $510 in Minneapolis for every quarter-mile, they were located closer to an off-street bicycle path. Bicycle infrastructure enhances the visibility of retail store and sales. There are a lot of pieces of evidence that bicycle infrastructure boosts the sales for a business. A 2008 study in Australia confirmed that per square foot bicycle parking increased the revenue for business by three times than car parking an hour. People who commute by bicycle are healthier and more productive. A study of 30,604 people in Copenhagen revealed that those who travel to work by bicycle has a 40% lower risk of death over the course of the study than those who didn’t. Also, bike commuters had fewer sick leaves each year than others. Investment in bicycle infrastructure leads to a reduction in city costs. Todd Litman, a researcher at the Victoria Transport Policy Institute estimated that replacing a car trip with a bicycle trip saves selves and communities $2.73 per mile. It leads to a decrease in congestion and the need for more freeways. A person commuting during an average peak period wastes almost 40 hours a year in gridlocks costing the US over $78 billion every year. Moreover, traffic jams waste 2.9 billion gallons of gas each year. Hence, there is more than one reason why smart cities should invest intelligently in bicycle infrastructure and improve the health of the economy, the people and the environment. Previous articleLondon Or San Francisco – Who Is On The Right Track With Facial Recognition?